• Choose from solid or grill tabletop. 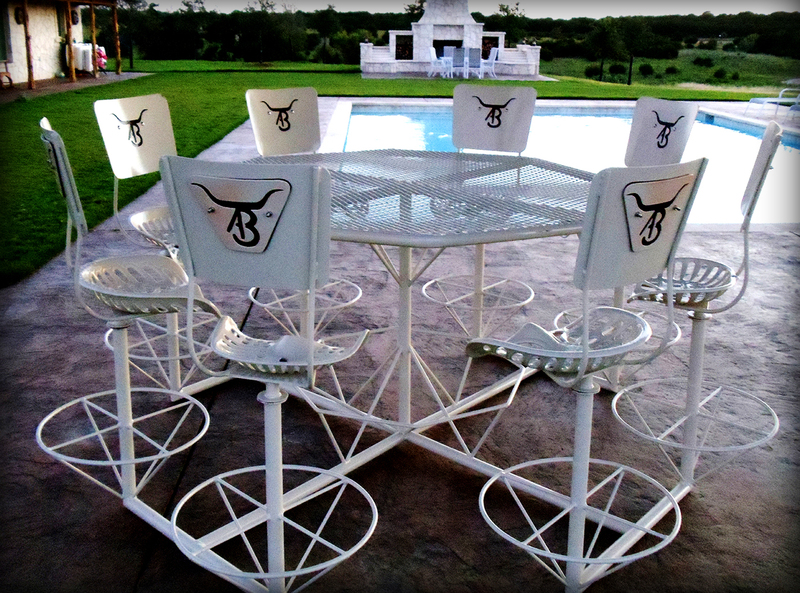 • All table seats are tractor seats that swivel. • Also available in authentic antique tractor seats. • Many seat-back designs available. • Simple custom logo $25/seat. Wide Variety of Powder-Coating Finishes Available here. Kickin’ Back Kreations Quality Promise: Designed to be virtually indestructible, Built with only the best materials and workmanship, Windproof and Weatherproof.